Albertus Magnus was interested in everything. He was fascinated by the relationship between faith and science. He studied astronomy and biology and loved logic and math. He pored over maps and hiked in the mountains to learn more about geography. He was the kind of student who challenged teachers to prepare lessons that satisfied his need to learn. Albert was born in Germany in 1206. His family home was a castle, so he could afford the best education—even the new universities that were being opened throughout Europe. 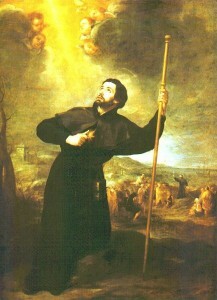 When Albert graduated, he joined the Dominican order over his family’s objections. This great student became an even greater teacher. He taught at the universities of Paris and Cologne. 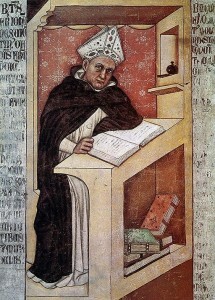 One of his most famous students was Thomas Aquinas, who later was canonized a saint. We believe that Thomas’ study of philosophy with Albert helped prepare Thomas to write his famous theology books which are still studied today. Albert also helped Thomas in another important way. Thomas was a large man and very shy. People called him a “dumb ox,” but Albert said that if Thomas was an ox, he was one whose bellow would be heard throughout the world. Albert helped Thomas to understand that God had given him the gift of intelligence that he could use to help others know and love the Catholic faith. Albert built up Thomas’ self-confidence so that he could believe in his own talents. 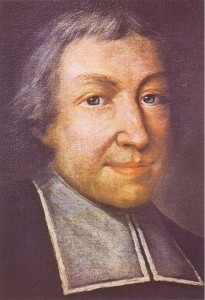 Albert was made a bishop in Germany, but he resigned after only a few years. He was an adviser to the pope, but asked to return to science, to learning and teaching. Albert died at the age of 74 but left behind a treasury of 38 books on many different subjects. These books help us to better understand the world God created for us to care for and to use wisely. The people of his time—priests, Church officials, professors, students, and even kings—gave Albert the nickname “the Great.” It was a wise choice. The Church honors Albert as both a saint and a Doctor, or great teacher, of our faith. 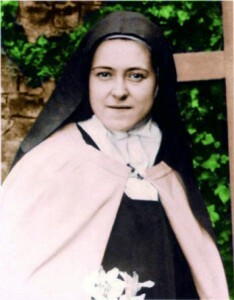 He was canonized by Pope Pius XI in 1931 and is the patron saint of medical technicians and scientists.